Omaha poker was derived from Texas Hold’Em with the main difference being each player getting four cards instead of two. Additionally, in Omaha you must use two cards from your hand regardless of the board. Omaha poker isn’t difficult to understand, but as with everything, it takes practice and study to become elite. In Omaha Poker, like Texas Hold’Em, there is a small blind, a big blind, a dealer button, and multiple positions. Players receive four hole cards before the first round of betting. After this comes the flop which consists of the first three community cards. The turn is the fourth community card, and the river is the fifth and final community card. After the dealer deals each street players engage in a round of betting until the final showdown with the betting limit always being the size of the pot. In Hold’Em, a player can elect to use both, one, or none of his hole cards when making the best five-card hand, in Omaha Poker, each player must use exactly two hole cards and three board cards. This gives the game its unique twist. For example, in Hold’Em, if there were four spades on the board and a player held the ace of spades, he would have an ace-high flush; however, without two spades in your Omaha hand, you wouldn’t have a flush. Why is Omaha so attractive? Take a look at this video and see if you aren’t enthralled. In Pot-Limit Omaha (PLO) at each betting stage, a player can bet from the size of the big blind up to the amount that is in the pot. If a player chooses to raise, he must raise at least the amount of the previous bet or raise in that same round. The maximum raise is the size of the pot—defined as the active pot total plus all bets on the table, plus the amount that the active player needs to call before raising. Finally, in PLO, there is no cap on the number of allowable raises. Omaha Hi/Lo is the second most popular type of Omaha poker today. In this variant, whereas the basic play remains the same, the pot is split between the highest and lowest hands; however, a player can “scoop,” or win, both the high and low halves of the pot. To qualify as a low hand, the hand must be an 8-low or better. Whereas high hands follow more traditional poker hand rankings, low hands follow the A-to-5 lowball rankings in which aces are low and straights and flushes do not count against the hand. Low hands are read backward with the lowest number winning. If two players have the same low hand, they split the low half of the pot; called “quartering.” Thus, 5,4,3,2,A is the best possible low hand while 8,7,6,5,4 is the worst qualifying low hand. Interestingly, these are both decent high hands as well. Perhaps the most important skill needed to be a successful Omaha poker player is the ability to recognize the nut hand, accurately assess your own hand, and determine the odds of improving your hand. Another key skill is knowing which starting hands to play and which to fold. Holding suited aces in Omaha poker is very important as these hands have the potential to make nut flushes. In PLO Hi/Lo hands that an ace and a deuce in them are very strong as they have the best chance to scoop the entire pot. Many players who are largely Hold’Em players struggle when switching to Omaha Poker. Many novice Omaha players tend to chase hands when they should fold before or after the flop. Unlike Hold’Em where players have already seen five out of seven cards (70%) on the flop, in Omaha, they have seen seven out of nine cards (80%). Therefore we have more information in an Omaha once we have seen the flop. Because of the volume of inexperienced players who are often chasing hands, Omaha can be exceptionally profitable. 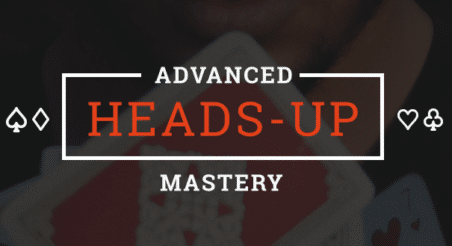 Practice and study are the keys to improvement in Omaha Poker. Good luck and enjoy The the the GREAT GAME of POT LIMIT OMAHA. Coin Poker: Do the Benefits Outweigh the Risks?